At the end of 2014, Korean cinema witnessed an astonishing feat – documentary My Love, Don’t Cross That River (님아, 그 강을 건너지 마오) shattered the record to become the most successful Korean independent film in history. The surprise came largely from the initial humble opening. Premiering at the DMZ Documentary Film Festival in September, the film was finally released on November 27th against Hollywood heavyweights Interstellar, The Hunger Games: Mocking Jay Part 1 and Fury on a paltry 186 screens. Yet the fervent positive word of mouth that quickly surrounded My Love generated interest on such a scale that the documentary acquired a place in the top ten for the entire winter period, culminating in an incredible haul of over 4.7 million admissions and 34.3 million won. Compared to previous record holder Old Partner’s 17.5 million won take, the magnitude of My Love’s success is impossible to ignore. 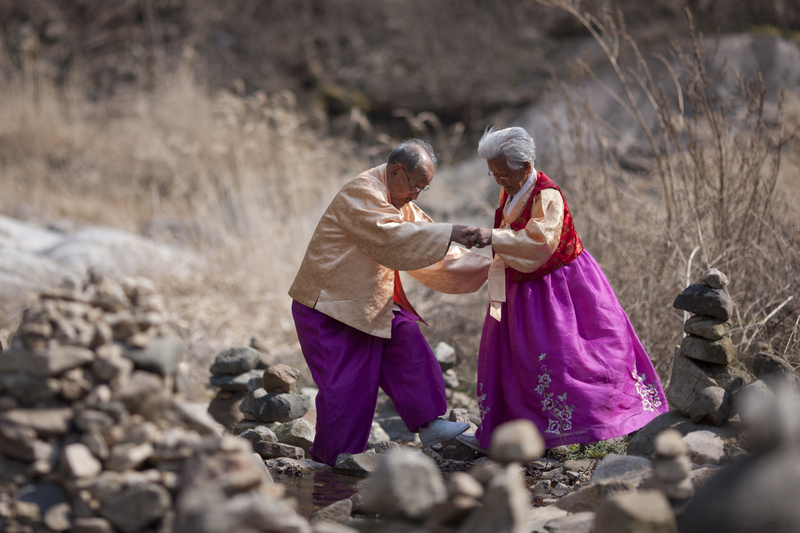 My Love, Don’t Cross That River is an incredibly charismatic documentary by director Jin Mo-young (진모영), with it’s deceptively simple structure and strong emotional resonance clearly the reasoning behind how the film struck a chord with audiences during it’s impressive theatrical run. Yet while the documentary is sweet, poignant, and in many ways acutely romantic, My Love’s success is also somewhat puzzling. 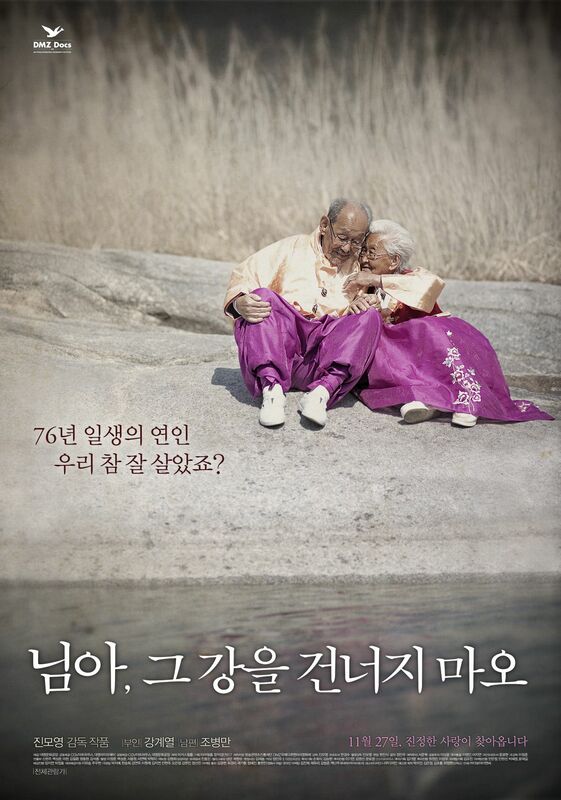 My Love affectionately depicts the final years of the relationship between 98 year old Jo Byeong-nam and 89 year old Kang Gye-yeol who, after 76 years of marriage, still behave as newlyweds. When the couple go out, they always sport matching hanbok. When chores are undertaken, they jokingly play tricks on each other. When they settle down for the night, they fall asleep holding hands. The elderly couple are unspeakably endearing and are a real joy to watch as they cheerfully continue their countryside existence, despite the hardships old age brings. Their devotion is palpable, displayed through loving glances, body language and cute moments that consistently prove to be heartwarming. Combined with the photogenic backdrop of the picturesque countryside, My Love is visually as well as emotionally stimulating and is quite the moving tale. Amongst such cheerful scenes however is the occasional sense of contrivance, which chiefly appears due to the camerawork. Byeong-man is a loveable rascal and likes to play tricks on his wife, yet as the camera quickly tracks around the couple to capture his pranks, as well as rather obvious editing cuts that capture that action from another angle, it feels as if the couple are being asked to perform for the camera which tends to undermine the purpose of the documentary. Luckily such moments aren’t frequent, and the film quickly corrects itself once the focus shifts back to more natural, authentic situations. The simplicity of My Love is very appealing as the daily lives and the indomitable spirits of the elderly couple are documented, yet there is also a enormous amount of unexplored potential just begging to be uncovered, which unfortunately never achieves fruition. Aside from two wonderfully illuminating conversations in which Gye-yeol discusses how she and Byeong-man first met and married, as well as the amount of children they conceived, the film doesn’t really delve into their undoubtedly fascinating history to give audiences a sense of who they are. Hints to the tremendous amount of experience the couple have endured are alluded to at various junctures, however director Jin instead chooses to focus on the here and now which results in a romantic, poignant, emotionally resonating tale, albeit one that could have benefited from greater depth. My Love, Don’t Cross That River is a record-breaking triumph for the independent sector as the most successful non-commercial film in Korean cinema history. 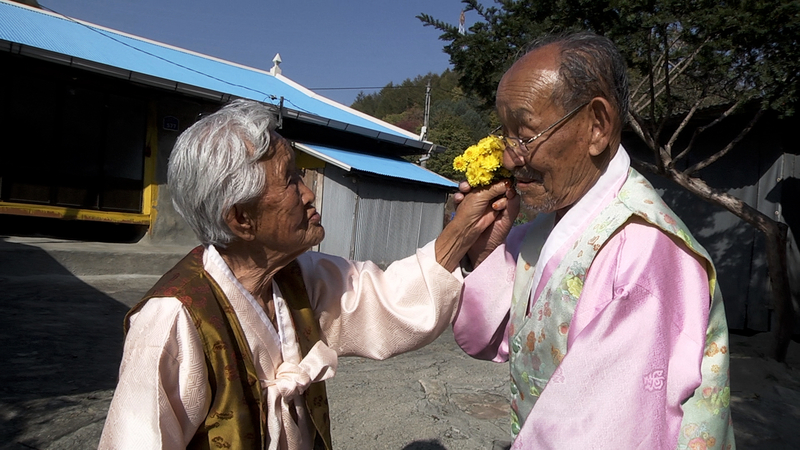 Director Jin Mo-young’s endearing documentary about the charismatic relationship of elderly couple Byeong-man and Gye-yeol is wonderfully heartwarming and romantic as they act like newlyweds despite their ages. However My Love‘s occasional contrivances and unexplored potential stop audiences from truly knowing the couple, resulting in a simple yet emotionally resonant tale.